This is a spectacular vintage cable knit sweater! 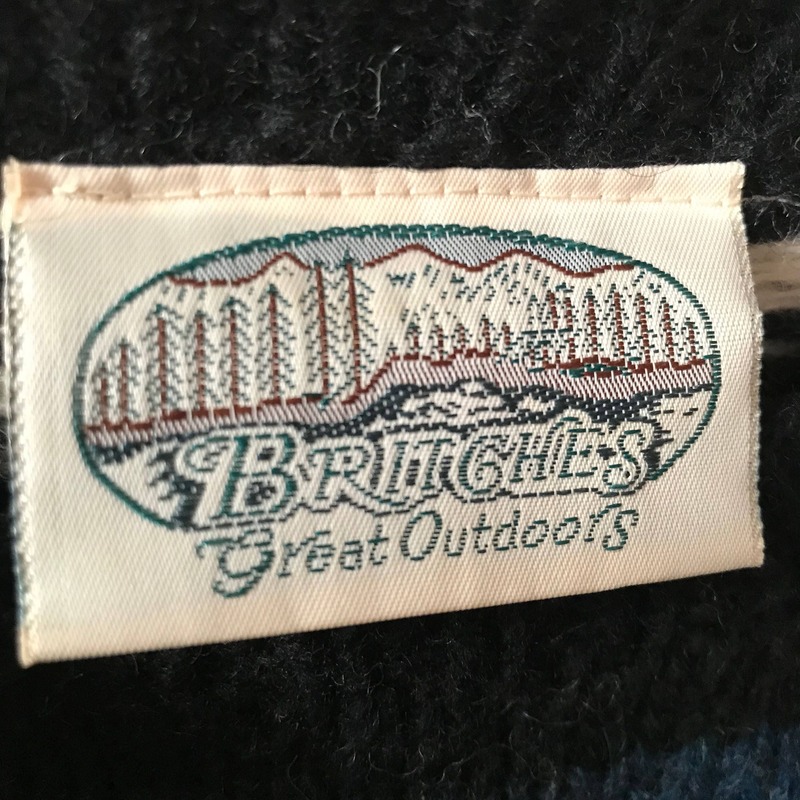 This chunky knit sweater was made in the late 1970s, early 1980s. 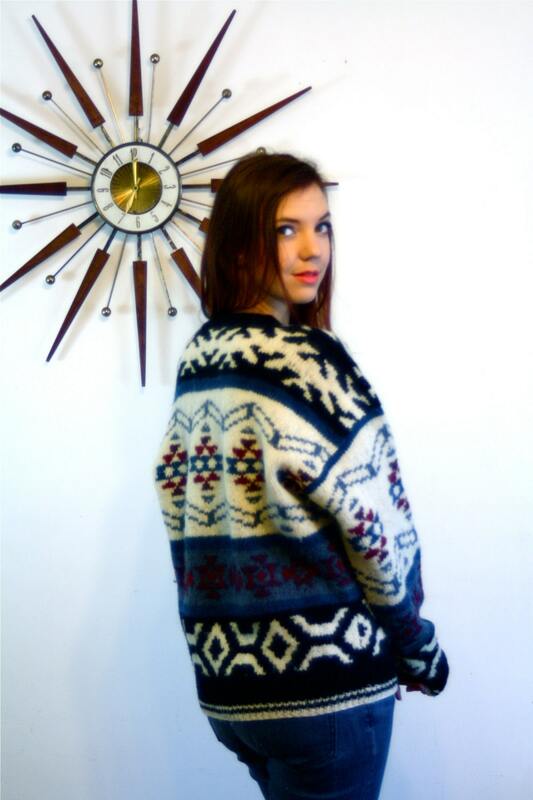 This ethnic print sweater is made from 100% Shetland wool, and is nice and thick and warm! 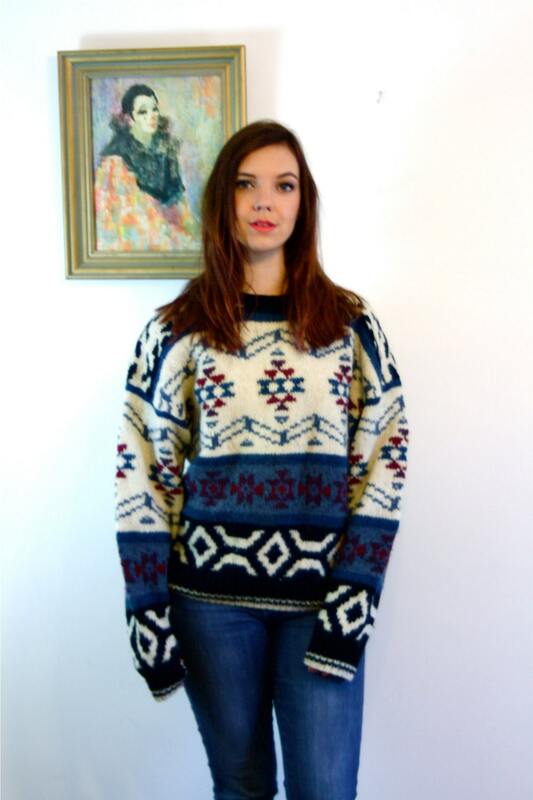 This beautiful unisex 80s jumper is knit by hand and has the most beautiful Nordic patterns! 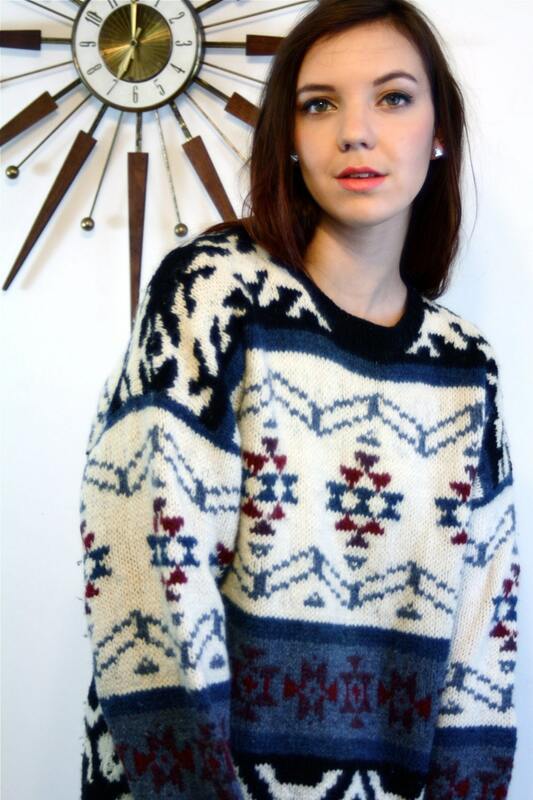 This boho 70s crew neck pullover is light cream with light and dark heather blues, black, white, and dark maroon red! Model Measurements: bust:34", waist:28", hips:41", height:5'9"
CONDITION: Excellent condition! Only slight balling.